Our neighbor's stump turned into a flower-pot. My wife Denise and I took our morning run together. It was one of those incredible spring days in northern Michigan, the kind of days where you think Heaven might be a bit like this. We had been reflecting on the beauty of the day as we ran, taking in the smells, sights and sounds of a spring morning when as we ran by our neighbor’s home (a full half mile down from us) where we noticed this stump in their yard that they had turned into a flower-pot. Denise immediately said to me, “now that’s turning lemons into lemonade”. And all of the sudden an old clique turned into real life. Our neighbors, for whatever reason had chosen not to spend either the time, effort or money to remove this stump from their yard and instead left it. In a large yard, in the country, it’s a reasonable decision. Yet they went the next step and not only kept it but redeemed it. They took something useless and made it beautiful And on this incredible spring morning, it seemed to fit right into the surroundings we where fortunate to run in. How often do organizations we are a part of have stumps, useless things, that we may not have planted and at the same time are too costly to remove? In any organization we inherit stumps, those parts of the organization, be it products, programs, services, assets, reputations or even people you just need to live with. The question is can we make them into something more beautiful. Just because we need to live with them doesn’t mean we can’t improve them until the time when removal makes more sense. 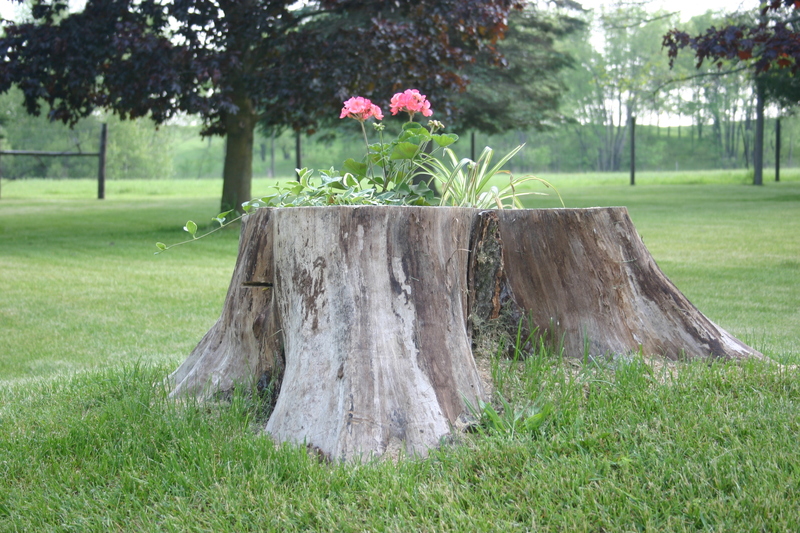 Our job as leaders is to have the wisdom to know when to make the investment to remove a stump (and believe me it is an investment) or leave it alone and just improve it (which requires an investment as well but usually not as big) by making it more useful, effective or beautiful. So here’s to the stumps we live with may they all be as beautiful as our neighbor’s stump on this incredible spring morning.